Location: City of Rochester, NY, In Rochester all along the Genesee River from Interstate 390 north to Lake Ontario. The Genesee Riverway Trail is an urban off-road trail along the Genesee River through the scenic, historic and cultural heart of Rochester, linking the (statewide) Erie Canal Heritage Trail, the Genesee Greenway Trail (Erie Canal to Pennsylvania), downtown Rochester and the Port of Rochester on Lake Ontario. 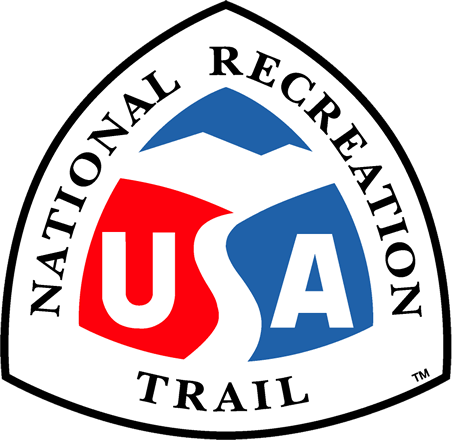 The trail links 11 parks, (including 4 historic parks designed by Frederick Law Olmsted), the University of Rochester, and 9 historic districts. It provides public access to the river, including 7 pedestrian bridges, a scenic gorge, three waterfalls, an 1842 Erie Canal aqueduct and an 1822 Lake Ontario lighthouse. The trail links city neighborhoods, (with the lowest incomes and lowest rates of automobile ownership in the SMSA) with city attractions and services. To encourage and guide trail use, a system of 125 trail identification and wayfinding signs have been installed. In addition a trail brochure is published and distributed by the City. The trail is owned and maintained by the City of Rochester for public use. 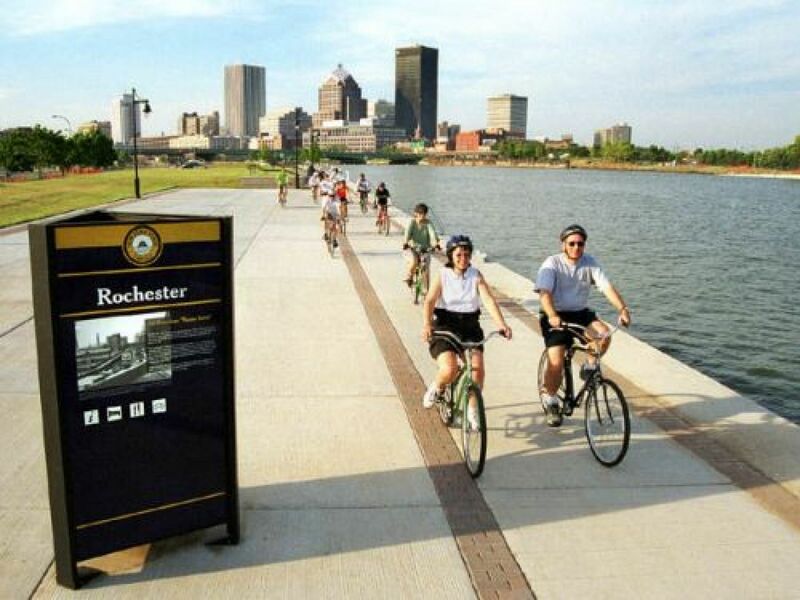 Support and collaboration from the citizen group, Friends of the Genesee Riverway Trail, the University of Rochester, Rochester Gas & Electric Co. and the County of Monroe have been significant. The trail is complete from the south city line to downtown on both sides of the river (9 miles). Between downtown and Lake Ontario, it is mostly complete (4 miles). An additional 2 miles, including a 2/3 mile long boardwalk along a dramatic gorge are under construction, to be completed in 2006.